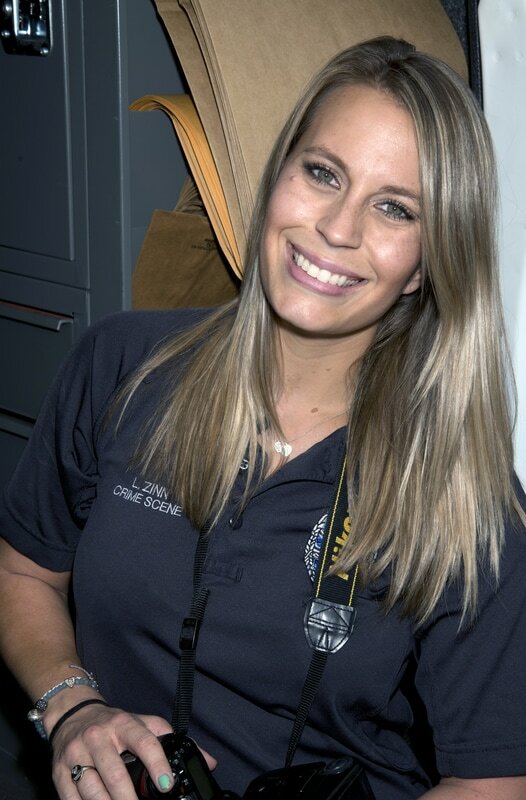 Laura Zinn, MS, CCSI is an Adjunct Professor of Forensic Studies at Florida Gulf Coast University in Ft. Myers, Florida. Prior to this, she was a Crime Scene Investigator at the Sunrise Police Department in Sunrise, Florida. She worked in that position from 2010 until 2015. Laura holds a Master of Science degree in Forensics with a concentration in Medico-Legal Death Investigation and a focus in Human Identity and Trauma Analysis (Forensic Anthropology). She also holds a Bachelor of Science degree in Criminal Forensic Studies and Criminal Justice. Laura is a member of forensic professional associations such as the American Academy of Forensic Sciences, the International Association for Identification (IAI), and the Florida Division of the IAI. She is certified by the IAI as a Certified Crime Scene Investigator. Laura is a member of the FEMORs mass disaster response team. Her extensive coursework and field experience in forensic anthropology has provided her with an exception knowledge of human osteology, human/non-human variation, surface and buried field recovery, establishing an estimated biological profile identification of skeletal remains, trauma analysis, and cranial reconstruction. She regularly consults with South Florida Law Enforcement agencies when they are investigating cases involving the recovery of human remains.